Review: The Jungle Book. Derby Theatre. – East Midlands Theatre. 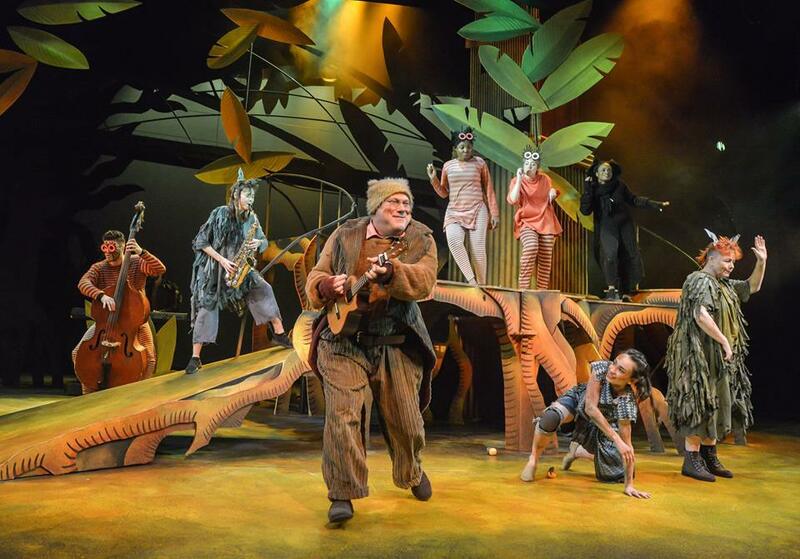 If you have been feeling the beat and listening to the jungle drums in and around Derby of late you can’t fail to notice that this year’s brilliantly boisterous, colourful and spectacular show for Derby Theatre is The Jungle Book. Rudyard Kipling’s stories have been adapted by award winning writer Neil Duffield. 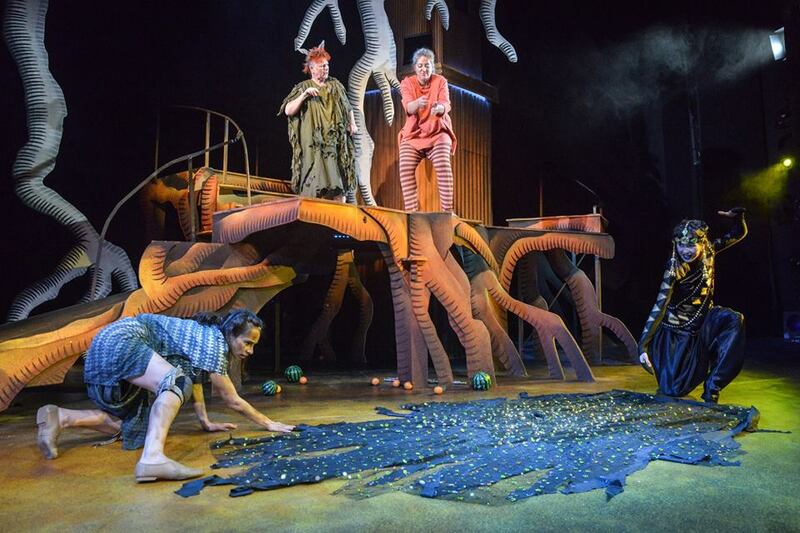 It is superbly directed by Sarah Brigham, musically enhanced through music and songs by Ivan Stott and given a fantastic story book jungle design by Ali Allen. 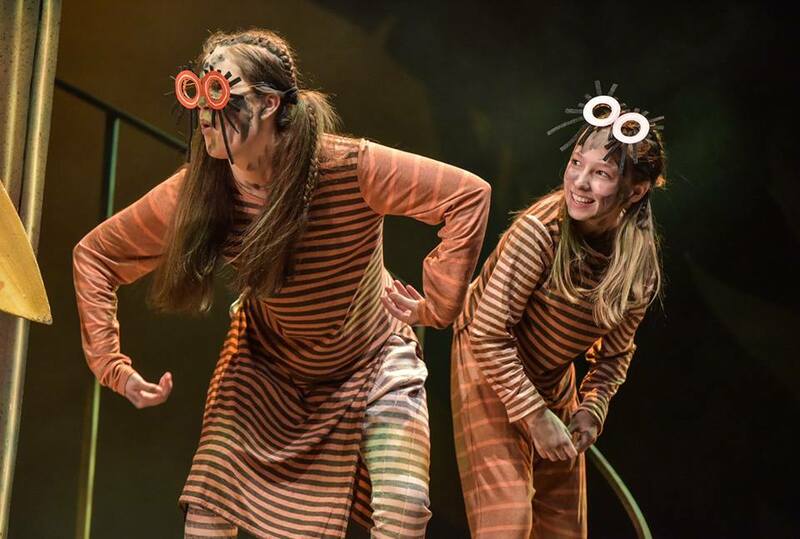 As the story is all about belonging then this production of The Jungle Book belongs to us all – culminating as a fun, warm hearted, theatre memory. And it’s 100% Family Friendly. 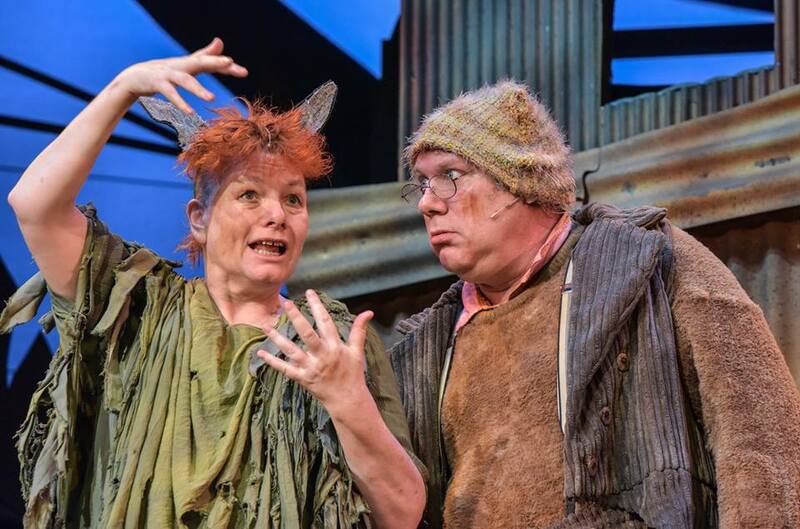 Each show has fully integrated BSL interpretation and captioning. As part of the creation new signs have been established for important phrases in the story. These include ‘laws of the jungle’, ‘calls of the jungle’, ‘look well o wolves’ ( a way of respecting and showing respect), ‘man cub’, ‘cold lairs’ (name of a place) and ‘red flower’. The Jungle Book creative BSL consultant is Daryl Jackson. The Community Cast utilises a total of thirty young people from local communities. They play a variety of roles including the Bandarlog monkeys, the Seeonee wolf pack and villagers. Their obvious enthusiasms, energy and clear on stage talents really enhance this show and their total focus is one of their great strengths. Tonight it was the time for the Green Team to shine. 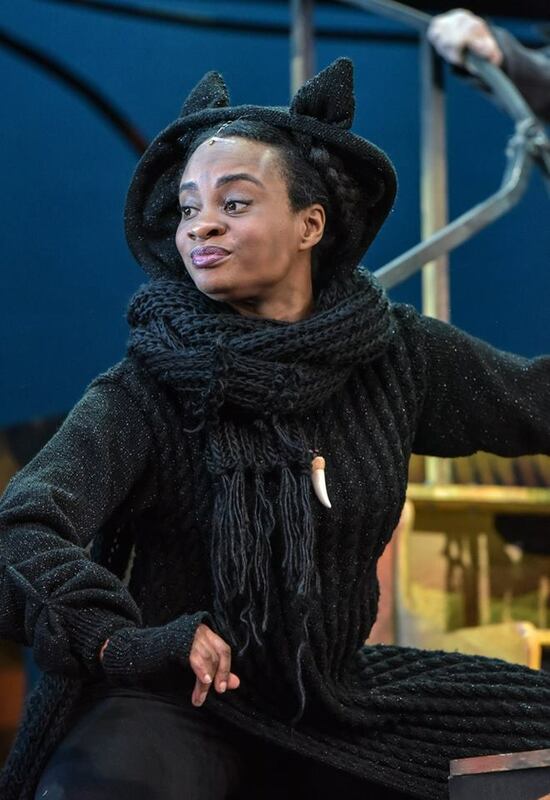 The main cast includes Iniki Mariano (Mowgli), Elliott Rennie (Shere Khan/ensemble), Ivan Stott (Baloo/ensemble), Esme Sears (Bagheera/ensemble), Dominic Rye (Akela/ Sergeant Major/ensemble), Becky Barry (Cobra/interpreter), Oraine Johnson (Chill/Rama/ensemble), Caroline Parker (Tabaqui/ interpreter), Emily Rose-Salter (Raksha/ensemble), Alexandra James (Messua/ensemble). The Jungle Book is sensationally good and sports a committed ensemble who really look like they are enjoying themselves on stage. Iniki Mariano is super lithe and superb as Mowgli the man cub growing up in the jungle. Her innocent reactions to her teachers Baloo (Ivan Stott in fine lovable bear form) and fully in charge panther Bagheera (deliciously played by Esme Sears) are wonderful to behold. 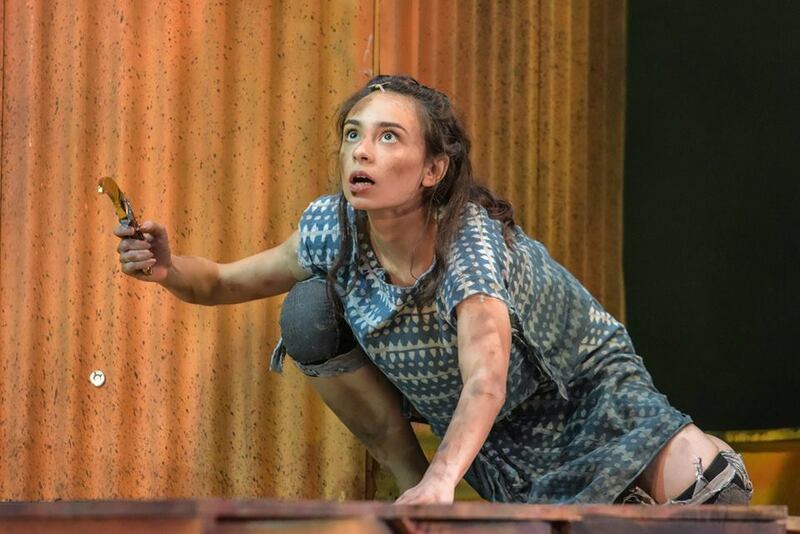 Mariano is certainly a talent to watch and her impish presence means that she is exceptionally well cast as Mowgli. 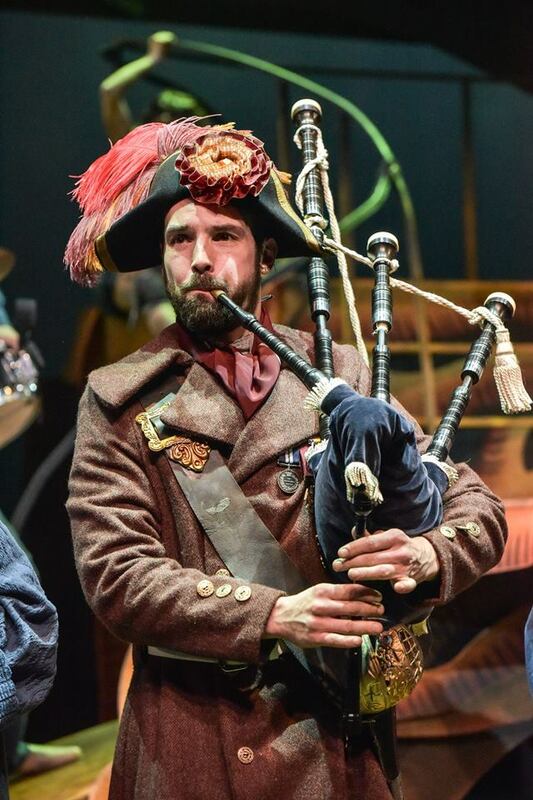 Dominic Rye as Sergeant Major in the second half almost steals the show as he presents his comically self important character whose alleged bravery is only in the words, not the actions. The many youngsters in the audience love him and his eccentricities. 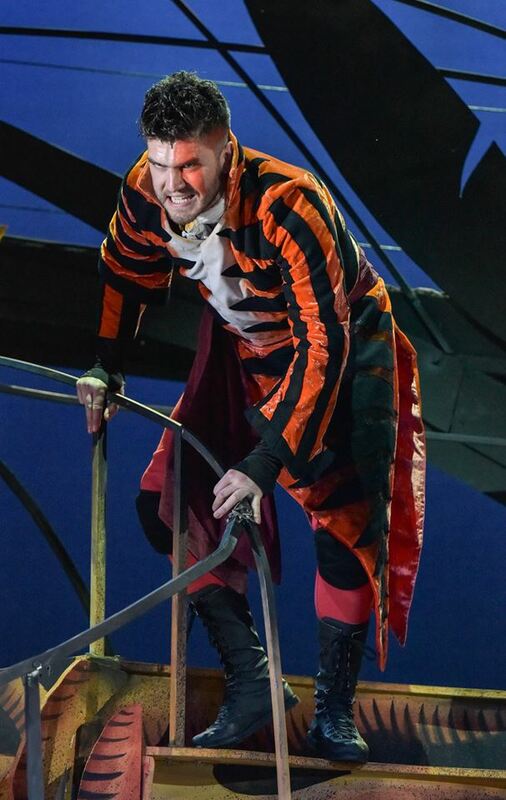 The baddie of the piece, tiger Shere Khan is powerfully portrayed overall by Elliott Rennie but not so scary as to fright the smaller children. His deep growling entrance at the top of the show is impressively done, as are the head shakes that finish off each threatening growl. Becky Barry as Queen of the Cobras and ensemble is actually much more than the sum of these two parts. Her lively BSL signing and expressiveness light up every scene she is in especially as one of the daft monkeys. We loved her work which reflects the joyful aspects of The Jungle Book as well as some of the more poignant moments. Caroline Parker as Tabaqui also adds quirkiness and essential signing skills to the piece. Tabaqui appears many times as a half hidden listener and the interest comes from whether she is a trustworthy character or opportunist. Tabaqui is a jackal so this duplicity is understandable. In terms of the costume designs set and costume designer Ali Allen and the company decided that the animals should be more human than animal so the mix of Indian, colonial, Victorian and modern dress offer up an essence of the animal through shape and texture. This works very well and gives the audience something to consider in their imaginative interpretation of the piece. 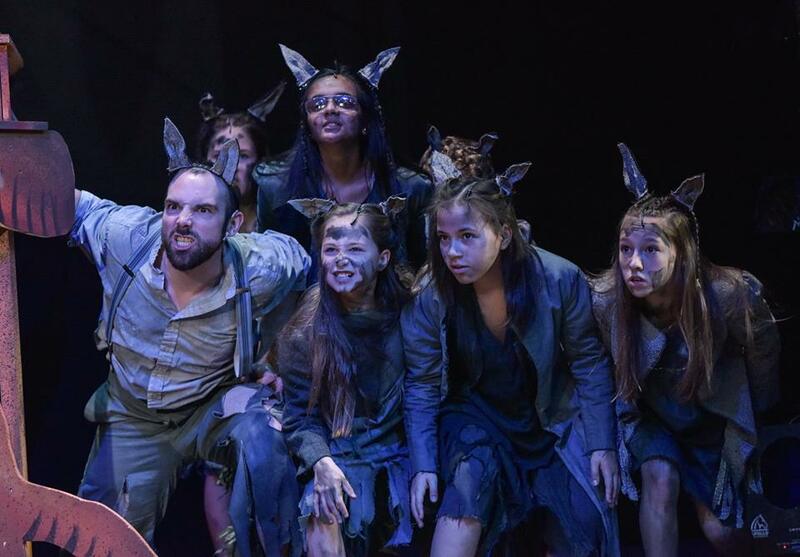 And lastly, the creative imaginations of the Derby Theatre cast and creatives, in this production of The Jungle Book, take the willing audience on a ride through the steamy jungle and grip them wholesale with the adventures of Mowgli. It is that unseen, but very much felt, intellectual bridge between actor and audience that engenders creative collaboration and the stories that issue from, and around. the wolves’ council rock that send us home uplifted and grateful. The mammoth roar of applause at the end of the evening from the packed Derby Theatre audience says it all. Production photos credit: Robert Day.